All is not lost. All is not invaded. There are still some well-hidden places you never think of. Where we do not meet anyone except some wild hikers lost on the way to Santiago de Compostela and cows.Where we can spend hours without hearing anything but the sound of the wind and the lapping of the lakes. 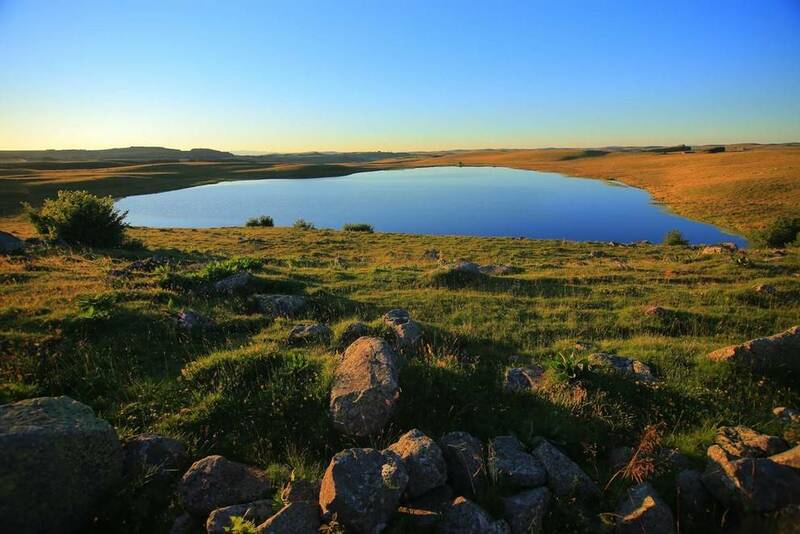 And among these places increasingly rare, we found the most beautiful: the Aubrac, high volcanic plateau perched south of the Massif Central. The pretty holiday colonies of this good old Pierre Perret take over with this magnificent building renovated by Cyril Lerisse, its owner, with a huge talent to combine design with the old. Each room is absolutely unique and charming, you can rent a loft for a week with your friends and, in the evening, you dine together in the large living room. All that remains is the battles of eiderdowns to fall back to childhood. – Otherwise, sleep like a dormouse in an old shepherd’s house lost in the middle of a meadow, the Buron of Cap-Combattut . Everything is disarmingly simple and you feel at home even before you have set your bags. Thick granite walls, carpentry and pine staircases, ash tables … We would like to swap his miserable desk against this beautiful buron. At the risk of breaking the piggy bank, you can not travel the Aubrac without making a detour to Bras.Perched on the heights of Laguiole , its futuristic architecture while transparency is surprising, but we understand better once inside. View. The one who has never been sitting on one of these benches to watch the mist wrap the building has not really lived. 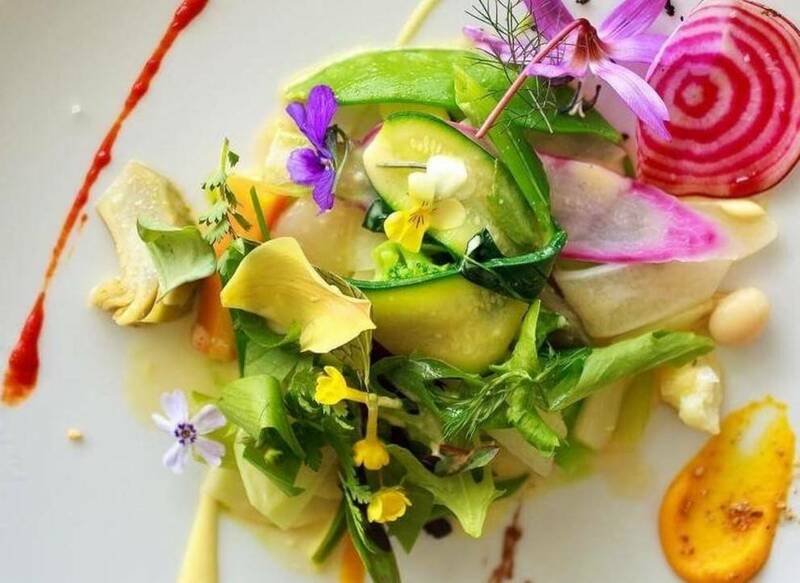 On the plate side, we will only reveal the entry into matter, to make your mouth water: a salad of flowers and plants from the garden, mythical dish that evolves according to the harvest (asparagus, fern, hops, artichoke , arrach, spinach, pak choi, mustard, chard, watercress, clover, garlic bear, carrot, fennel, pink radish, peas, chayote, tomatoes, pumpkins …). The rest is just divine. 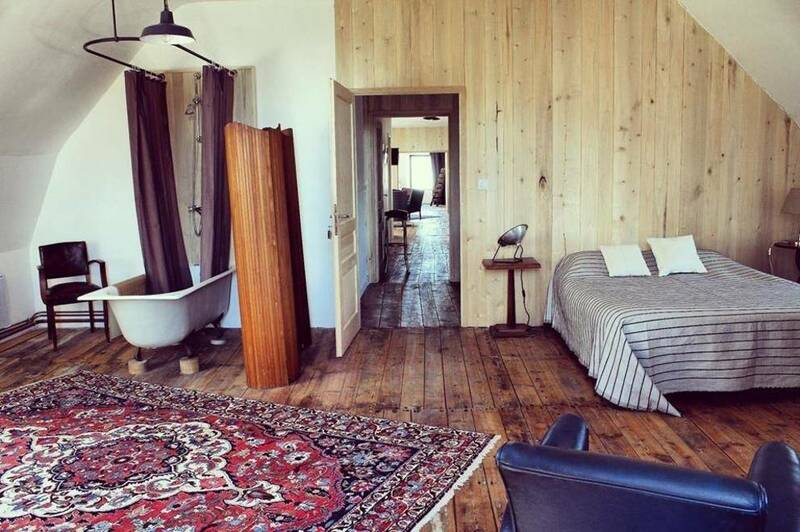 – Spend a moment without fuss at Germaine , real institution nestled on the main square of the tiny village of Aubrac. All woodwork, the great room seems frozen in time. You can eat a lot of fouace – kind of huge brioche local orange blossom to roll on the ground. Sacred Germaine. The concept is simple. We take his car and we roll rolls rolls. The advantage of the Aubrac being (among others) to be located a thousand miles from everything (including Paris), nature has remained exceptionally virgin, and we can beat hills and plateaus for hours without meeting anyone. There are well-marked walking routes, but this is an opportunity or never to get lost in the tall grass. What are we bringing back? A plant with legendary virtues, Aubrac’s tea would calm a horse stung by a wasp. This is to say its power. Even if, on vacation, the stress seems a distant memory, it risks to reapply as soon as crossed the periphery. And to continue the rest of the year in the subway. Unless you have your Aubrac tea thermos with you. Malin. 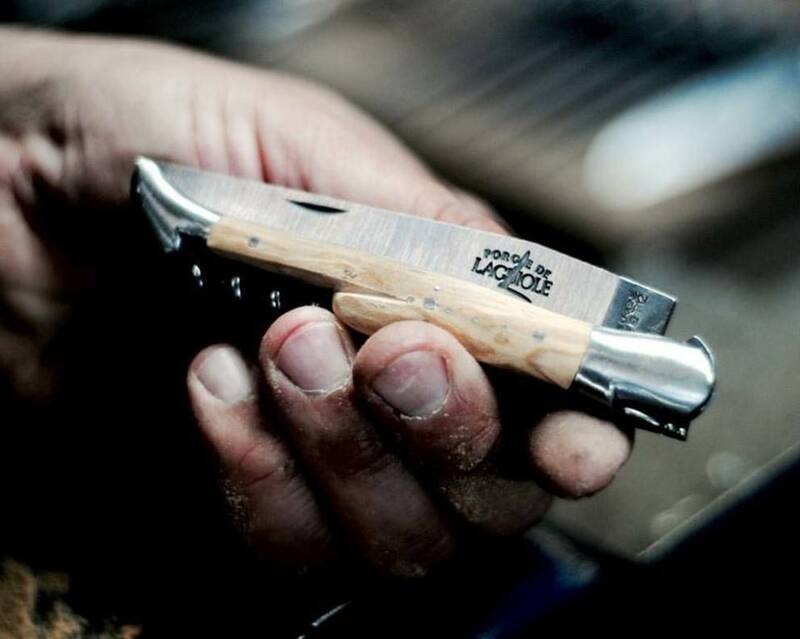 – And, of course, a Laguiole knife straight out of the original factory of the village of the same name.Visit the forge and, if you are lucky, you will see the cutlers in full shaping of your blade. Authentic.